Spring is in full swing and the official start of summer is right around the corner. I don’t know about you, but we love to spend lots of time around the pool and having backyard BBQ’s. Each summer, my family comes to town around my sister’s birthday and we celebrate with a big Family Pool Party. 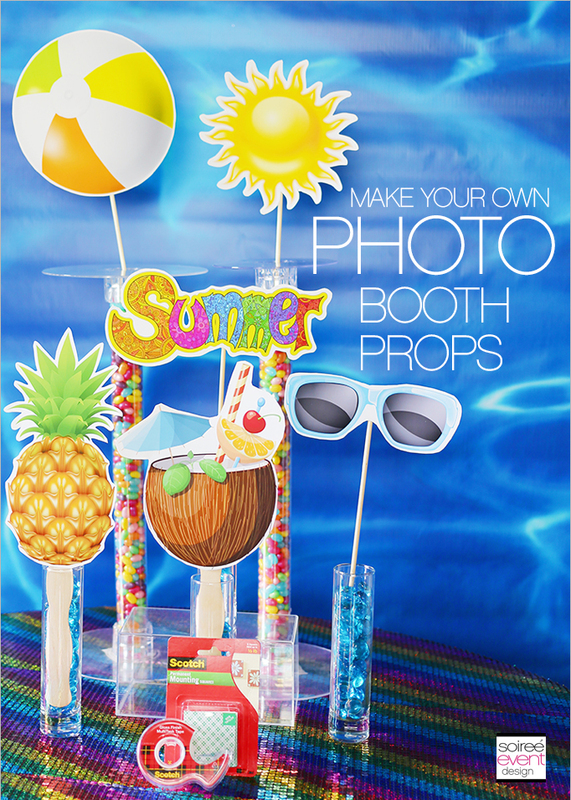 Memories are created and this year, I wanted to have a Poolside Photo Booth with Custom Photo Booth Props at the party so we can capture all the family fun in pictures. 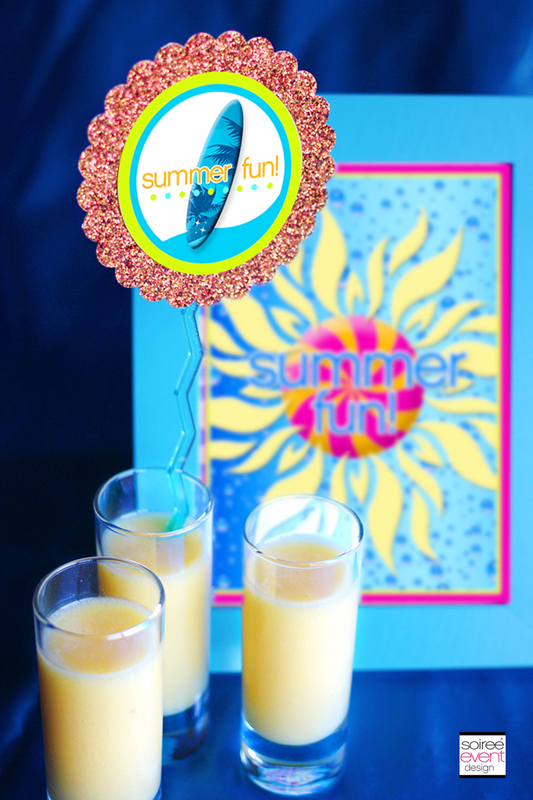 Summer is all about relaxing and having fun so I’m always looking for quick and easy craft projects for my parties that don’t take a ton of time to do. Personally, I’d much rather be lounging around the pool then spending hours on a meticulous craft project. In fact, this year, I decided to not do all the party prep by myself. 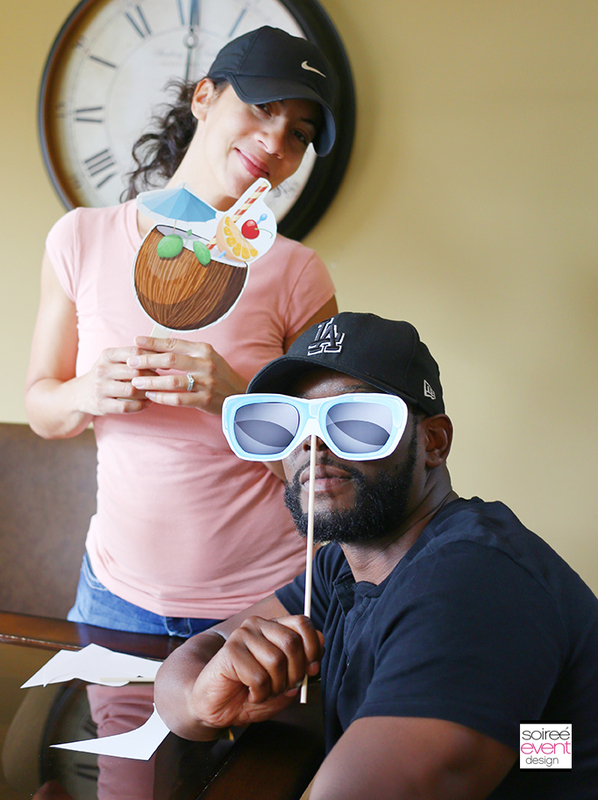 Instead, I invited my sister and her family over for dinner & crafting where we crafted all of the photo booth props for our upcoming Family Summer Pool Party—gotta love that team effort! 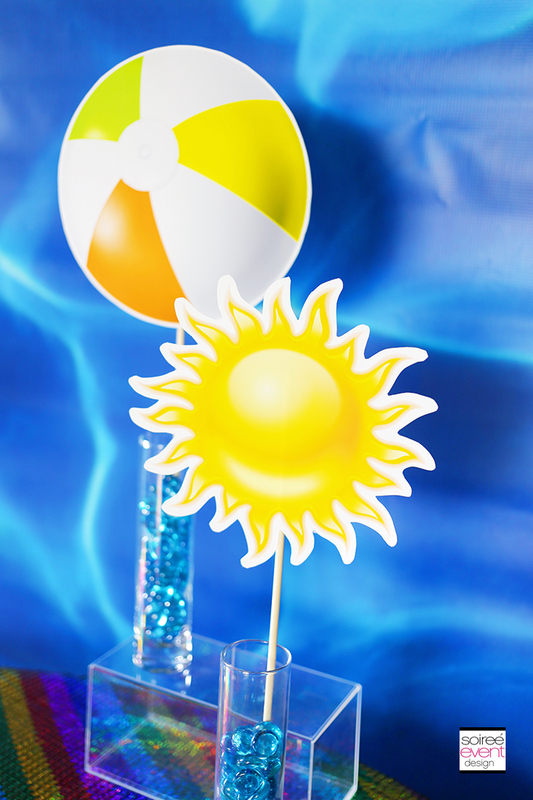 Making the photo booth props is so easy that even the guys were willing to get crafting—AND THAT—never happens! GIRLFRIEND TIP: Photo Booths are a huge trend at parties and are easier than you think to set up with the right tools! 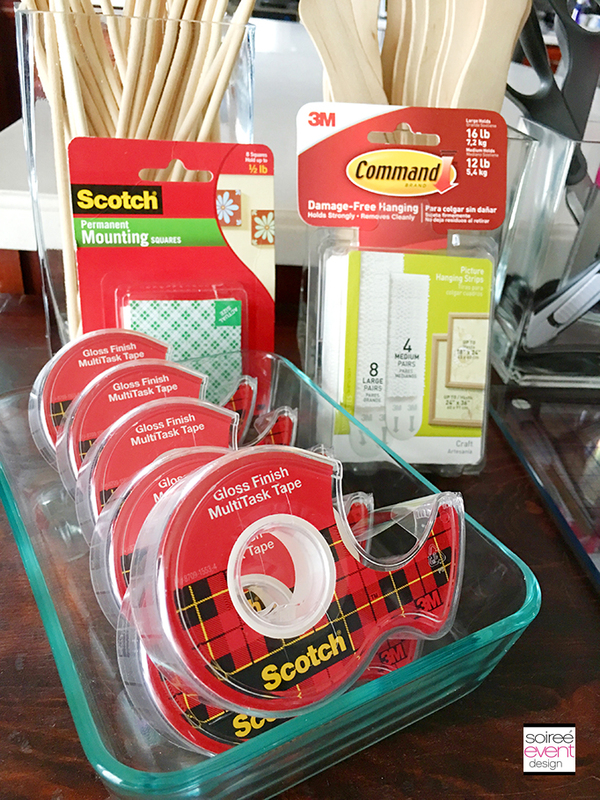 I have a variety of Scotch® adhesive products from masking tape, double-sided tape and mounting squares on-hand all the time for most of my craft projects and party set up! 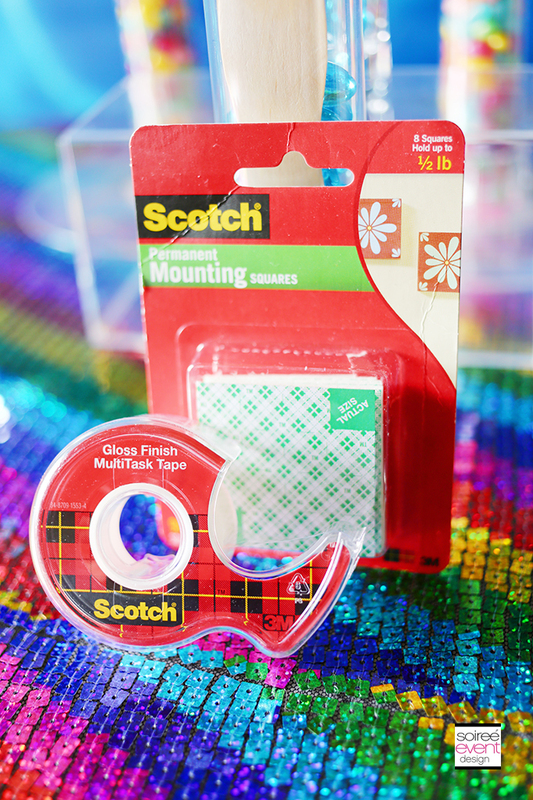 Scotch® products and Command™ products are a staple in my party planning toolkit and are essential in creating a fast and easy photo booth for your next party. Check out my tutorial below on how to make your own photo booth props AND how to hang a photo booth backdrop in minutes. 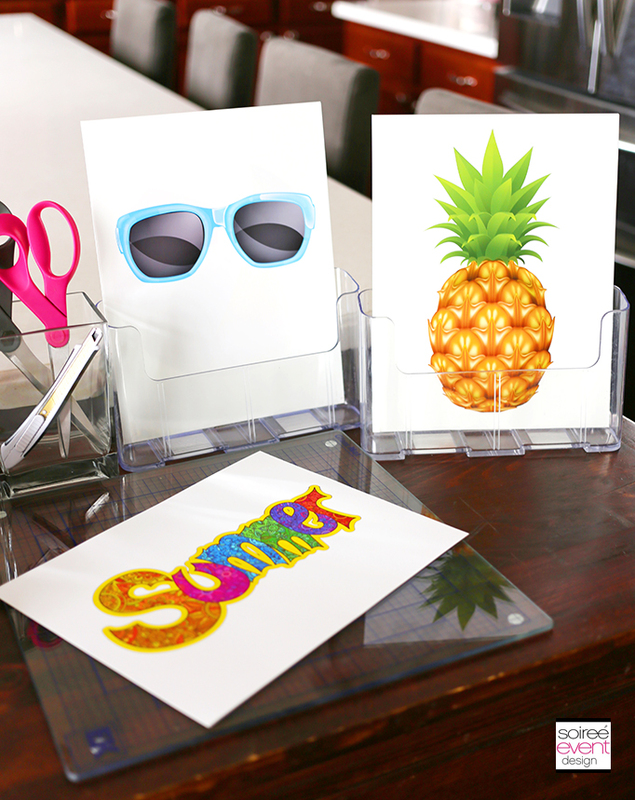 STEP 1: On your computer, print one summer object on a full sheet of paper. 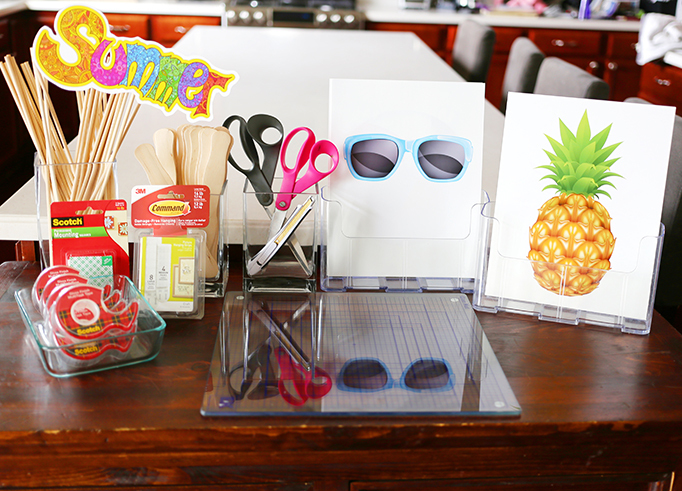 Here I printed 6 different summer objects (beach ball, sunglasses, coconut drink, summer word, sun and pineapple). STEP 2: Cut out each object leaving a white border around the edge of the object. Use the Scotch® Brand Utility Knife to cut out the insides of any of the objects as shown here. 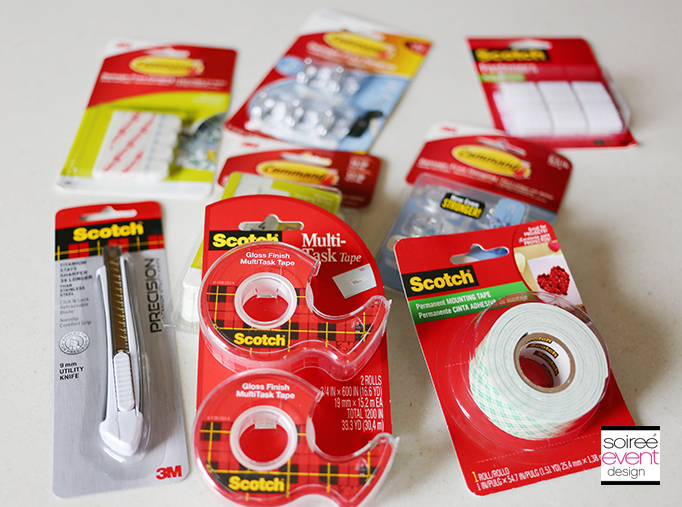 STEP 3: Turn each cutout over and place a wood dowel or flat stick in the middle center of the paper as shown and attach it securely with either the Scotch® Brand Multitask Tape or Scotch® Brand Mounting Squares. Use the tape to secure the cutouts to the dowels and the mounting squares to secure the cutouts to the flat sticks. upright in containers on a table next to the photo booth backdrop so guests can grab them easily before snapping their pictures. That’s it! Super easy and lots of fun! 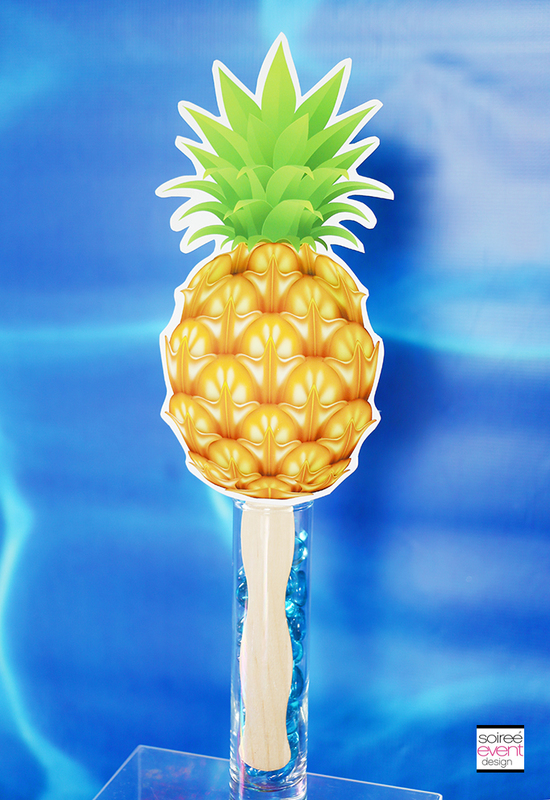 The best part about making your own photo booth props is that you can make these to match any party theme. There are so many clip art sites out there that you can literally find, download and print clip art to match any party theme. HOW TO HANG A PHOTO BOOTH BACKDROP! 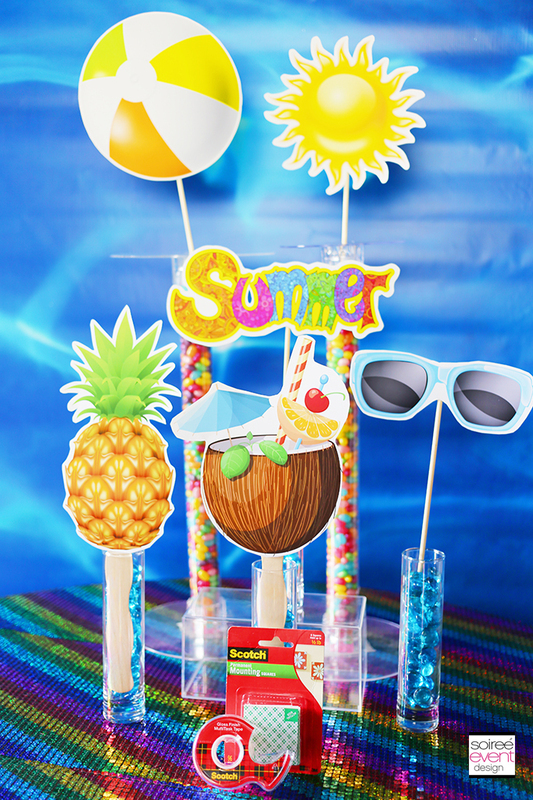 If you don’t have a fancy banner backdrop stand, no worries, you can still have a photo booth backdrop using a paper, plastic or vinyl backdrop and Command™ Picture Hanging strips! They are strong enough to attach the backdrop securely to a wall and removes easily and damage-free (as long as you use it according to the package’s instructions). STEP 1: Turn your backdrop over on to the backside and place a Command™ Picture Hanging strip on each corner and middle top of the backdrop. STEP 2: Remove the backing from each of the strips and place the backdrop on the wall starting from the top and smoothing down as you go to prevent wrinkles. Press firmly over each area of the backdrop that has a strip to secure it to the wall. 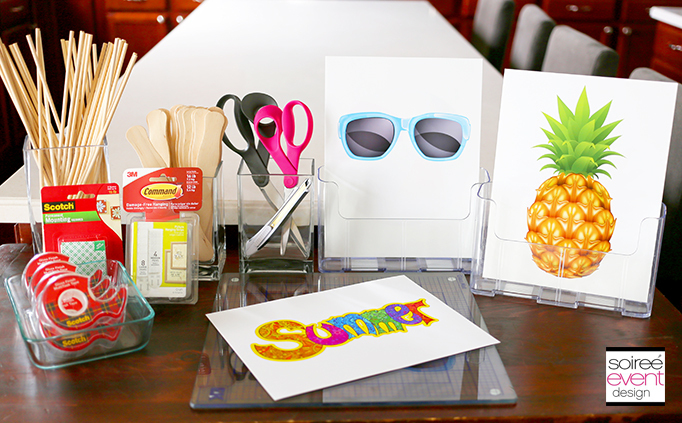 ASSEMBLE PRINTABLES WITH SCOTCH® PRODUCTS! 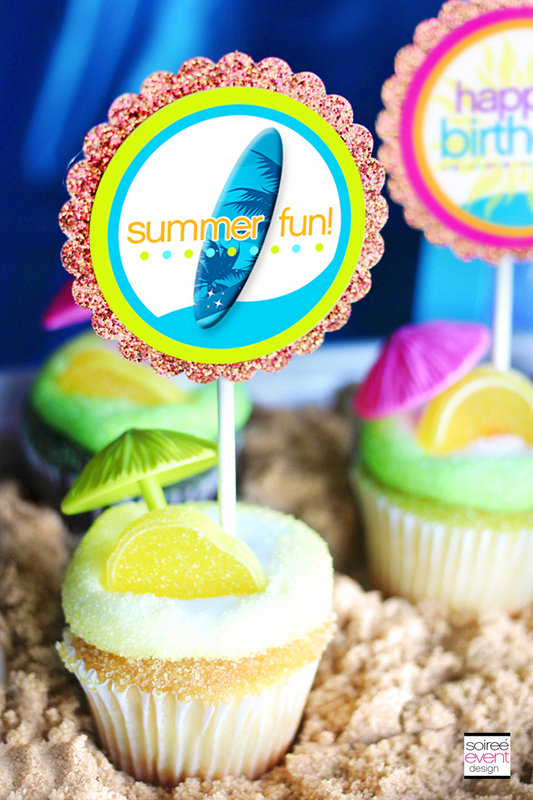 Do you have a party coming up this summer? 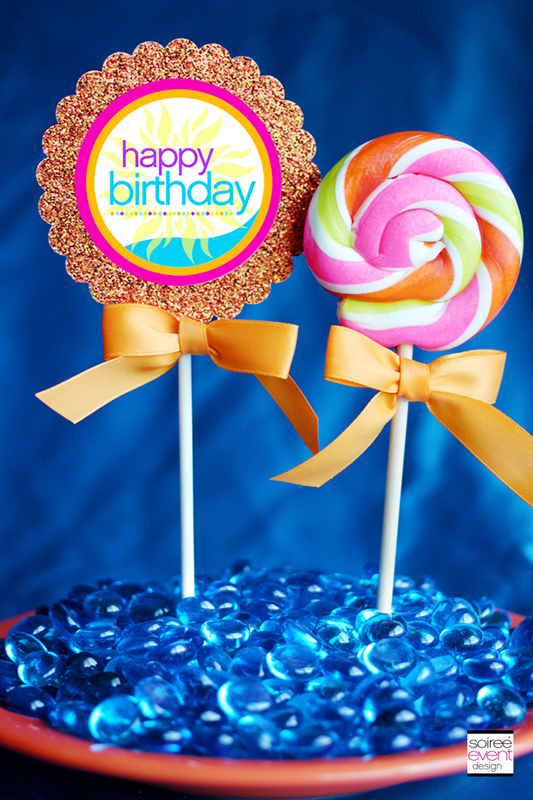 How will you use Scotch® and Command™ products in your party planning? 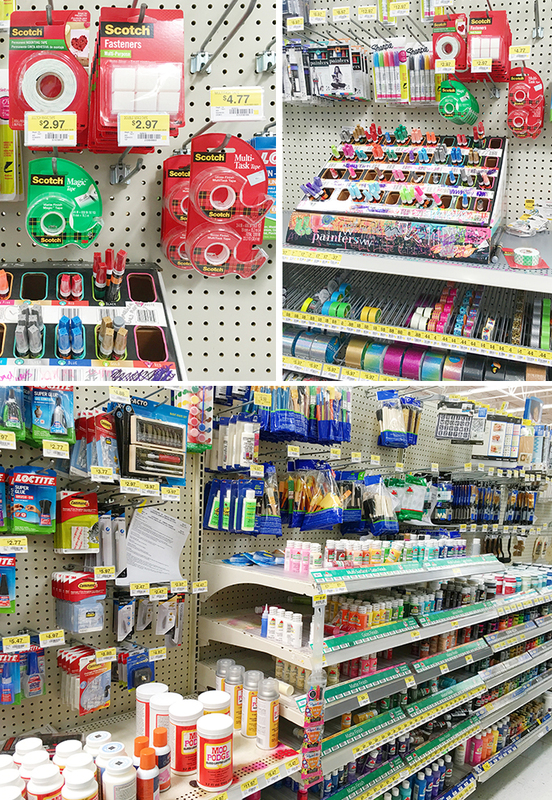 Check out this Pinterest Board for lots of fun craft ideas and head out to Walmart’s crafting aisle to pick up all your craft supplies! Photo booths are so much fun! They are perfect at any party! My birthday is coming up soon (July) and this is the perfect idea for my birthday party! I always wanted a Hawaiian theme party, and photo booths are so much fun! Thank you for these tips! You make this look so simple. Very cute ideas! Our kids are done school in 6 days (EEK!!) and this would be such a fun way to celebrate the beginning of summer vacation. Actually, I did go to a party where the hostess did something like this. It really was so much fun! I love those photo booth props! I just made some photo booth props for my granddaughters first birthday! It was so much fun! 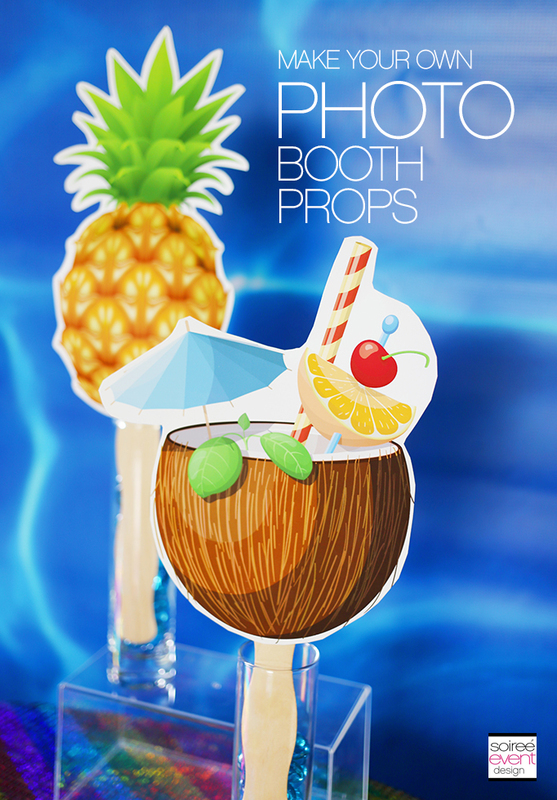 It looks like your photo booth prop making was a lot of fun too! Thanks for sharing! DIY party stuff is always so fun to do with friends. I like that you did your own photobooth, it’s so much more fun and it’s easier to stick to the theme because you’re the one handling the decor. I absolutely love the idea of a fun photo area. I know my kids would love to help out with this. Adorable as always! This looks like such a fun idea, and photo booths are always a popular idea! You are so creative! I need this for an upcoming summer event in our home. I love your ideas, this is so creative. I find renting a photo booth package so expensive, thanks to this. What a great idea! Photo booths are always fun, and I love how easy and cute those props are! This is so awesome! My family and I spend many days around the pool in the summer. This would be a neat idea. 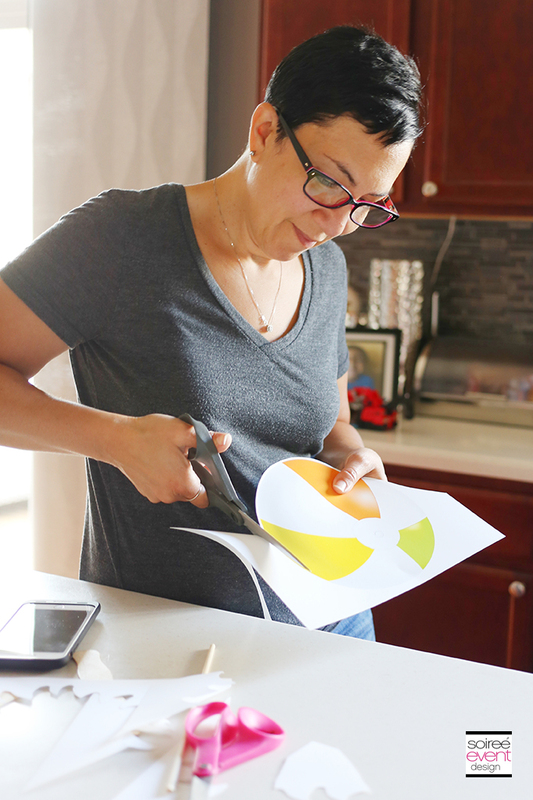 How fun to include the whole family in the crafting process. We’re doing a pool party in Vegas and will have to keep this in mind. Thanks for sharing this. This is SO clever! Oh my gosh! I love all the props you made! We always have photo props at our kids birthday parties. I just love these for Summer, yeah! So much fun! My family loves props for pictures so these would be perfect! These are amazing ideas! 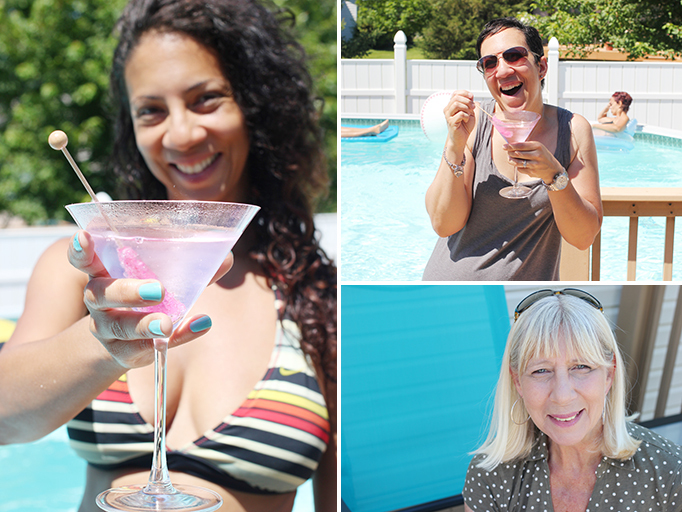 I’m hosting a GNI in July, I can’t wait to use them! 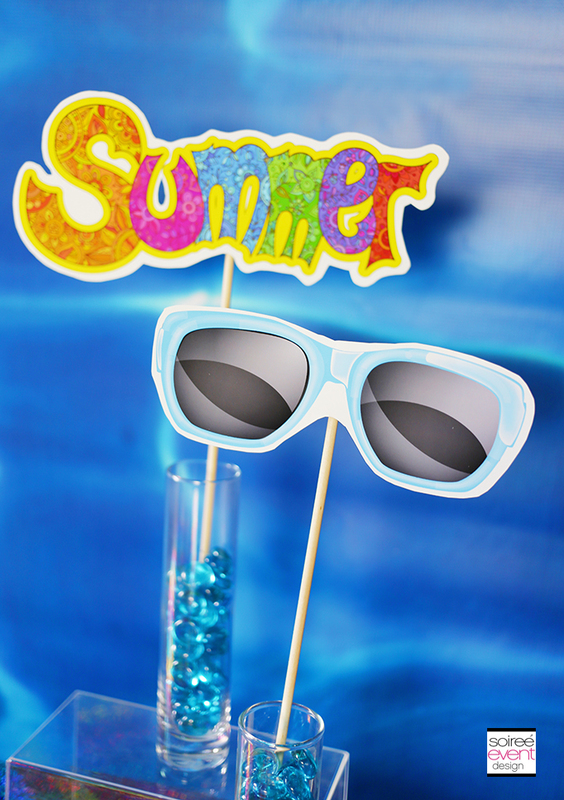 I just picked up some props for this summer so that we can have a photo booth party. If I had know how easy it was to make would have done it myself. Looks really fun too! The whole idea looks very effective. You can spice up any ordinary room with this, and I love how it can easily stand out using simple containers. Never thought on this! But it is an amazing iidea!! Thanks for sharing the idea! 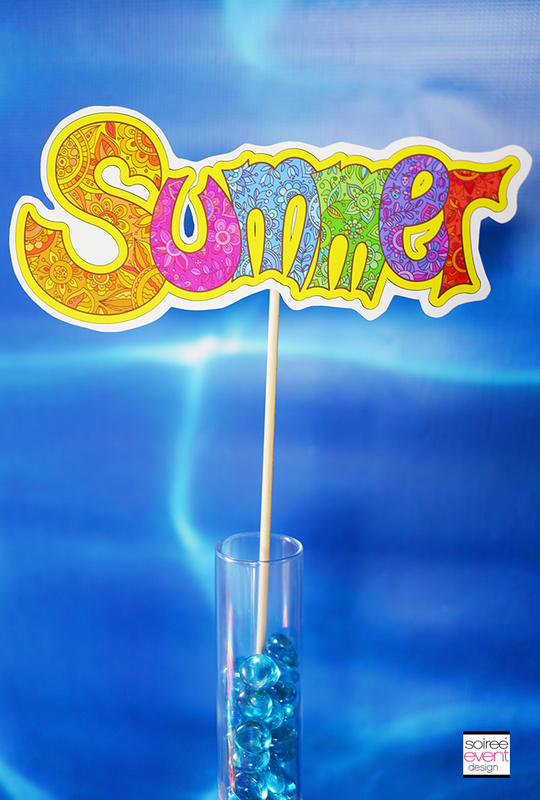 This is a fun, simple way to make summer party props, and I can imagine you could do this for other kinds of parties as well.